Since 1st October 2017 there's been a significant change to the area covered by this Branch. The branch boundaries have for the first time have been defined fully by the London boroughs where they reside rather than by postcode sectors or road boundaries. 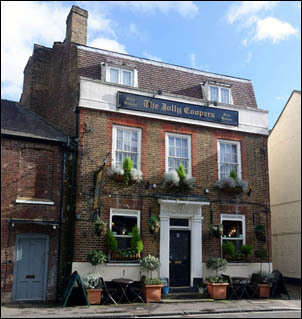 For our Branch this means we have aquired additional pubs for both West London and West Middlesex Branches. If you have visited a Pub, Club or bar in our branch area we would like to know how you enjoyed it - or not! NB. The following lists have been compiled from our Pubzilla database and include all pubs, clubs and breweries bars that are known to exist from around ~1990 onwards. The list includes direct links to the WhatPub.com website. There are many more pubs that were known to have either closed, changed use, and or been demolished that do not appear on these lists. The Branch endeavors to keep the Pubzilla database as up to date as possible. However, we do not have enough active members to do this. If you can provide feedback on what's happening to pubs in your area, or errors found on these lists, it would be much appreciated. Although we have indicated 'closed' against certain pubs, this does not mean a business has ceased trading, just it is no longer a pub by definition. On current trends the number of traditional Pubs will sadly continue to diminish as the years go by. If you wish to view a range of pub on a map you can use WhatPub.com. Click on New Search, enter a Town or Post Code and when the list is displayed, click on View On Map.